With Thanksgiving approaching, spend some quality time with your family and these reads: A classic from Agatha Christie getting adapted to the big screen, the latest historical biography from Walter Isaacson, the newest John Green novel, a book on meditation from Chade-Meng Tan so you can stay joyous throughout the holiday season, and more. Julie: A new film version of Murder on the Orient Express hits theaters this month with a star-studded ensemble cast — Johnny Depp, Judi Dench, Kenneth Branagh, and Penélope Cruz, to name just a few. In preparation, I dove into the original novel by Agatha Christie. Published in 1934, MOTOE depicts a bygone era of luxurious train travel that sounds just a bit more glamorous than Amtrak’s Regional. When the train is derailed by a snowdrift while traversing the Balkans, a murder is discovered and no passenger escapes suspicion. 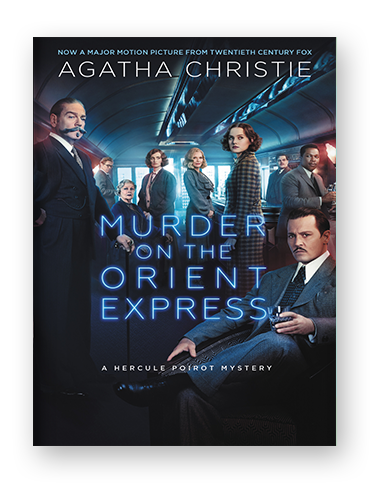 Hercule Poirot, Christie’s infamous fictional detective, happens to be a passenger himself and takes the reigns of the investigation. As the perplexing and contradictory evidence mounts, Poirot begins to realize his fellow passengers may not be who they seem. Grab some popcorn and settle in for a classic book-to-film double-header! 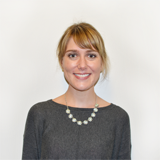 Alex P.: I have something embarrassing to confess: I’ve never read a Walter Isaacson book. I have no excuse; he’s been on my list for years. But for some reason, I never wound up picking up one of his mega-bestselling, critically-acclaimed biographies, until now. I’ve just started his new release Leonardo da Vinci, and I’m already enthralled. 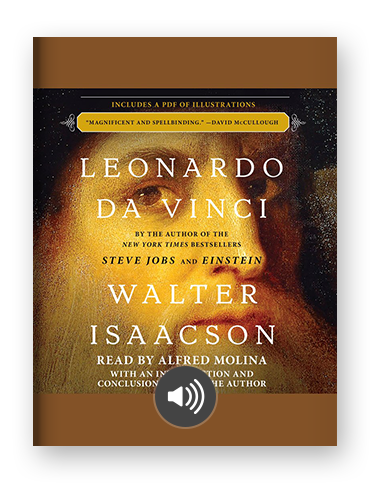 It’s not just that Da Vinci is a fascinating person — of course he is, from his balance between the scientific and the artistic to the diversity of his lasting contributions to humanity — it’s that Isaacson is a terrific writer. He makes his subject a human, worthy of fascination and respect, but not an unapproachable god. The biography, therefore, feels both informative and inspiring, like I could try to be a little bit more like Da Vinci every day. I look forward to finishing this portrait of Da Vinci, and then — finally! — exploring some of Isaacson’s earlier works. 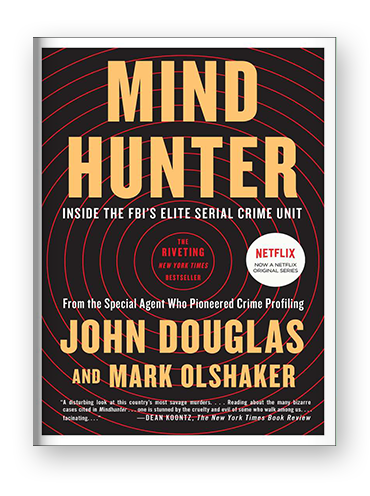 Jen: How did I binge the entire season of Netflix’s Mindhunter without realizing it was based on a book? Shame on me! Mindhunter is the true-life story of FBI agent John Douglas, one of the founders of criminal profiling. Douglas shares detailed accounts of serial killers’ crime scenes and his subsequent interviews with some of the world’s most famous serial killers — before the term became a part of the modern-day law enforcement lexicon. His interviews with the killers are dark, disturbing, and somehow a little sad, as they explore everything from the killers’ early childhood relationships to the triggers that led to their first murders. The conversations helped Douglas and his team identify common behaviors among serial killers, and this classification system became the basis for modern-day criminal profiling. Unlike the series (so far), the book focuses a great deal on Douglas’ personal life — including his relationships, education, and path to the FBI. One thing I found particularly interesting was how his intimate knowledge of gruesome crimes led him to resent the anxiety others felt about everyday stressors. If you enjoy dark stories or psychological thrillers, you don’t want to miss this. If you’re a fellow fan of the TV series, read slowly to help fill the long void between seasons 1 and 2. Ashley: This is the best John Green novel to date. 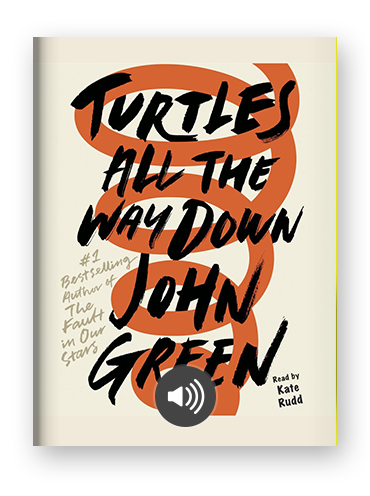 I’ve read all of his novels (yeah, even An Abundance of Katherines) and I’m telling you, Turtles All the Way Down has them all beat. It’s the perfect blend of what makes Green’s stories excellent: witty teens who will make you laugh, relationship issues (romantic and otherwise) that will make you cry, tons of random trivia that makes you feel smarter, a strange mystery intertwined with everyday teenage drama, and of course, weird names. But this novel is more personal to Green — it’s about a girl named Aza who struggles with OCD and anxiety, things that Green struggles with himself — and that deep, tragic knowing of thought spirals really hits home. Plus, Daisy might just be my new favorite best-friend character (prime Daisy quote: “I have the soul of a private jet owner, and the life of a public transportation rider”). Any Green fan should be immensely pleased with this new novel. Alex P. (again! ): Chade-Meng Tan was kind enough to join us for a terrific #ScribdChat last week (if you haven’t watched it yet, you can check it out here) and it couldn’t have come at a better time. 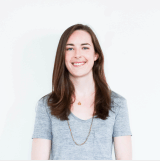 For those not in the know, Meng is a mindfulness and meditation expert who transitioned a career as an engineer at Google into one as a bestselling author with the Search Inside Yourself meditation program. I, meanwhile, have recently moved, and have been navigating the monetary and mental toll of buying (and, at times, reselling) new furniture; parting ways with old furniture; getting to know my new neighborhood (and neighbors, including the baby upstairs); normal work stress; and a less-than-stellar immune system. All of this to say: I was deeply in need of meditation. For those interested in meditation but unsure of how to begin, Meng makes it incredibly easy. Joy on Demand, the follow up to his bestselling Search Inside Yourself, focuses on the quickest ways to start benefitting from mindfulness so that even a novice can enjoy the positive effects. And his background as an engineer shines through: this is a practical guide, with very little of the woo-woo you might expect from a meditation book. The best recommendation I can give for Meng’s approach, though, is that after years of reading articles about meditation, and planning on starting a practice, I’ve meditated almost every day since his #ScribdChat — and I really do feel more joyful. Ashley (again! ): A memoir from the founder of Nike isn’t something I would typically read, but Shoe Dog came so highly recommended, it was impossible to resist checking it out. And I’m glad I didn’t resist, because what I’ve read so far has been inspiring and intriguing. In many ways, Phil Knight’s life fits the stereotypical mold of stories about finding yourself — he goes on a trip around the world in his 20s, with a particular desire to go to Japan to pitch a company about letting him distribute their shoes in America. He became obsessed with shoes in college, after writing a paper on them and after his track coach made his shoes from scratch. It’s this quirkiness in the people that fill out Knight’s life, along with his humor and humbleness, that makes this memoir stand out. It’s also, naturally, full of business lessons. What’s the trick to selling? Not thinking of it as selling: “I believed that if people got out and ran a few miles every day, the world would be a better place, and I believed these shoes were better to run in. People, sensing my belief, wanted some of that belief for themselves. ... Belief is irresistible.” I truly believe this book lives up to its irresistible hype. Tifa: Not ready to let go of Halloween, but also looking forward to Thanksgiving? If you love jack-o’-lanterns, pumpkin pie, and autumn-themed decor, check out Pumpkin: The Curious History of an American Icon for a a fascinating history of not just pumpkins, but our cultural ties to them. This relatively quick read lays out the agricultural, social, symbolic and even a bit of the mythological history of the gorgeous gourd and how it went from a poor man’s food staple to a beloved symbol of autumn. Ever wonder why Peter Pumpkin Eater put his wife in a pumpkin shell? Or why The Headless Horseman threw a jack-o’-lantern at Ichabod Crane? Or why Cinderella rides off to the ball in a pumpkin? Grab your PSL and go beyond the basics (see what I did there?) in this insightful and fascinating look into the history of the American pumpkin.